CUMULUS MEDIA announces that it has appointed veteran radio programming professional Charley Connolly as Operations Manager of the company’s eight radio stations in Youngstown, OH, and Program Director of Youngstown Country station WQXK-FM/K105. The appointment is effective Tuesday, April 16th. Connolly brings deep experience in radio programming and operations to Cumulus Youngstown, and was most recently Program Director of iHeartMedia’s Country station WGAR-FM in Cleveland, OH, a position he held for nine years. 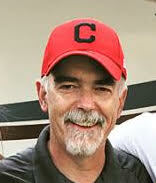 Connolly was also Program Director for iHeartMedia-Cleveland’s Variety Hits station WHLK-FM. Prior to that, he was Program Director for CUMULUS MEDIA’s WSM-FM (Country) and WWTM-FM (News Talk) in Nashville, TN, and held Program Director positions in markets including: Dallas, TX; Bridgeport, CT; New York, NY; Garden City, NY. He holds a B.A. degree from St. John’s University in New York. CUMULUS MEDIA owns and operates Youngstown radio stations: WHOT-FM (CHR), WYFM-FM (Classic Rock), WQXK-FM (Country), WPIC-AM (News Talk), WSOM-AM (Classic Country), WWIZ-FM (Oldies), WBBW-AM (Sports), and WLLF-FM (Sports).